Over 1500 toys, including games, puzzles, construction and manipulative toys, dress-ups, ride-ons, large outdoor equipment, CDs, cassettes, read-along cassette books, videos, DVDs, books and baby toys. Large toys — such as a slide, doll’s house, ride-on vehicle, etc. (generally one per child). Small toys — such as a board game, a musical toy, or a skipping rope. A video/DVD/CD — we have a range of children’s videos including many of the Vegie Tales series, teaching lessons such as forgiveness and truthfulness. Also available are read-along books and CDs. Books — ranging from parent-help books to children’s books and even books to help you with your child’s next birthday party. (We allow some parent books to not be included in the 5 toy limit). Toys can be borrowed for 2-3 weeks and should be cleaned before returning. A quick wipe down with an antiseptic cloth is all that is needed. (This is obviously for the sake of your and other childrens’ safety and hygiene). 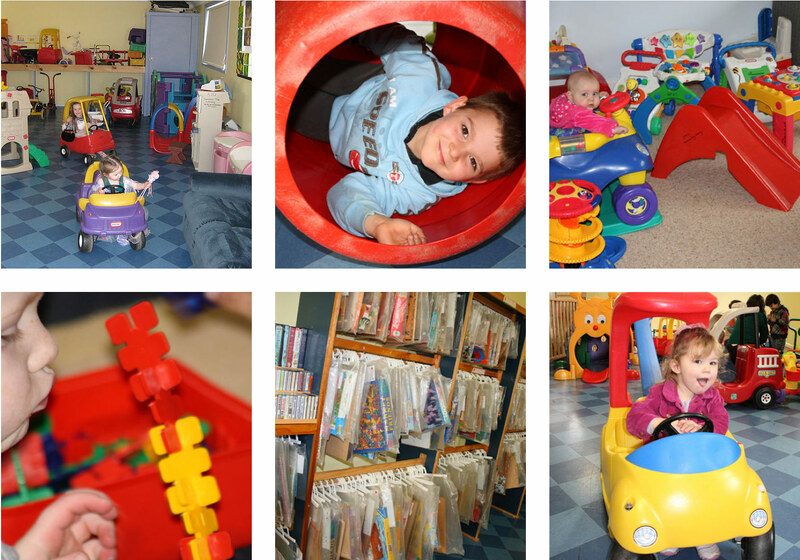 A wide range of toys chosen to assist in the development of children from birth to 7 years of age. NOTE: Toys are now able to be borrowed and kept over all school holidays.